Myrtle Beach Sneak Preview: Annual Conference is Only ONE MONTH Away! In one month we'll be kicking off the 2018 Pellet Fuels Institute Annual Conference in Myrtle Beach. Here are three reasons I think the conversation at this year's conference is vital for you to hear and be a part of. 1. We are leading with a discussion about markets and market growth. With the board's blessing and support, I've put Operation 100k front and center at the conference this year. While it is hard to argue with the premise of working to increase the number of pellet appliances sold each year, the best strategies by which to achieve our growth-oriented goals are a question of open debate. I'm looking forward to talking with fuel producer members as well as our appliance manufacturing members about the efforts the PFI can and should engage in to move the demand needle. 2. The importance of the BBQ market to our industry will finally get its due. During my tenure as the Executive Director at the PFI a day has yet to go by when I haven't found myself hearing about, reading about or talking about the rapid growth of the pellet grill and smoker market. The popularity of pellet grilling has never been higher and anyone who has been to specialty hearth shop, a hardware store, a regional farm, and ranch store or a national home improvement chain knows that these pellet grilling appliances are hot right now. As a result, wood pellets are as visible with consumers as they ever have been. Simply put, we have to take advantage of this tailwind. We will be discussing this at the conference on Monday morning. 3. The table is set for a strong year for our members. I've been told on more than one occasion that the wood pellet industry is about weathering the lean years so you can be there for the years when the opportunity for a truly special year presents itself. Might the heating season of 2018-19 be one of those special years? My conversations with producers have me believing that carry over inventories are down throughout the supply chain. Additionally, this spring has also seen crude oil prices heading higher and higher. 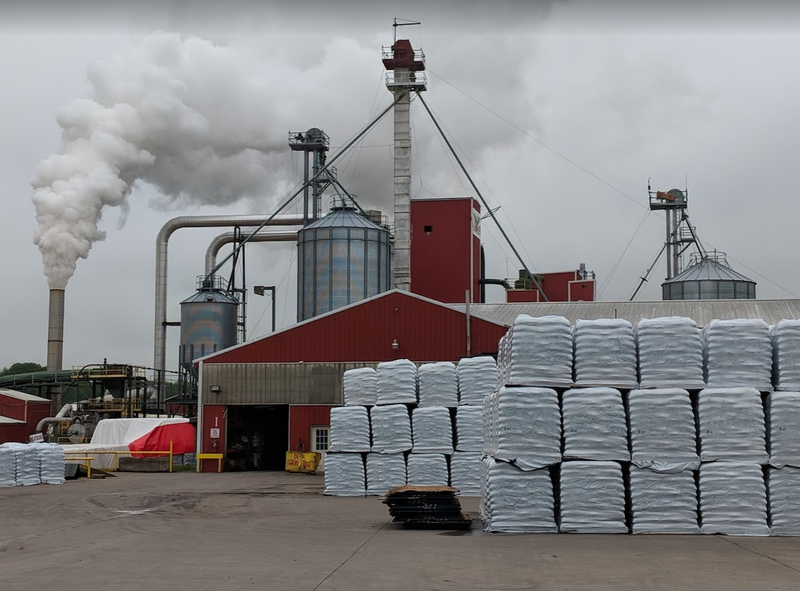 The economic advantage of burning wood pellets is back and if crude continues to trend upward, the spread between pellet-derived Btus, and heating oil Btus could see more appliances sold as well as idled pellet appliances brought back online. Did I mention that this year's conference will happen within walking distance of the Atlantic Ocean? I strongly encourage you to join me, the board of directors, and your industry colleagues at Myrtle Beach. You can register now! Only Four Weeks Till the PFI Annual Conference in Myrtle Beach! The PFI Annual Conference highlights the various applications of densified biomass, as well as trends and best practices within the densified biomass industry. It attracts a broad range of individuals from both the public and private sectors, from academia, and from local, state, and national governments from North America and beyond. The conference features two days of educational sessions as well as industry exhibits, extensive networking opportunities, and a golf tournament. The golf tournament is a great way to experience some friendly competition with your friends and colleagues in the industry while playing on a top-notch course. We're building a collection of photos of our members, their pellet mills, and their product. Send them to Carrie Annand at [email protected]. This week's featured photo, of Energex's Mifflintown facility inventory, is thanks to Kenny Lisle (photo credit Tim Portz). Each model on test uses electricity to make life easier - whether that's as its primary fuel source, as a way to speed up lighting charcoal or for app-connected, Wi-Fi controlled pinpoint cooking. It's a wonderfully novel design; to light, simply plug it in - there's a retractable 1.5m power cord - pile charcoal on the circular grate above the electric element and press the button. Far from being hi-tech, the electrical element looks and works just like a basic kitchen hob ring, but that doesn't make it any less effective. In just a few moments the charcoal starts to smoke and within five minutes the coals are red hot. After 10 minutes it's ready for cooking. On May 18, the U.S. House of Representatives voted 198 to 213 to defeat the 2018 Farm Bill, officially titled the Agriculture or Nutrition Act of 2018, or H.R. 2. All 198 votes in favor of passing the legislation were made by republicans, with 30 republicans and 183 democrats voting against the bill. An addition seven republicans and 10 democrats did not vote on the legislation. Following the vote, House Speaker Paul Ryan moved to reconsider the bill. One day prior to the vote, members of the House defeated a proposed amendment by a vote of 75 to 340 that would have repealed the Farm Bill's Energy Title. The amendment, H.Amdt. 619, was offered by Rep. Andy Biggs, R-Ariz. While 74 republicans and one democrat voted in favor of the amendment, 154 republicans and 186 democrats voted against it. An additional six republicans and six democrats did not vote on the amendment. On May 16, USDA Forest Service Interim Chief Vicki Christiansen announced the award of almost $8 million to expand and accelerate wood products and wood energy markets. The Wood Innovation Grants will stimulate the removal of hazardous fuels from national forests and other forest lands to reduce the risk of catastrophic wildfires, promote forest health, and reduce the cost of forest management.